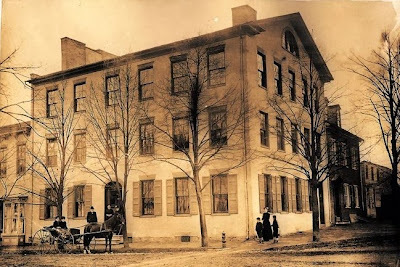 Organization of the Week: Main Street Gettysburg ~ The History Girl! This week, I am featuring the Main Street Gettysburg. Founded as Downtown Gettysburg in 1984, Main Street Gettysburg is a non-profit organization committed to the preservation and revitalization of historic Gettysburg for the benefits of its citizens, businesses, and visitors. The organization has encouraged the rehabilitation of commercial buildings in the Historic District of Gettysburg, partnered with state and national organizations to achieve the common goal of interpreting and preserving Gettysburg, and began start-up operations in 2009 at the Wills House Museum before it was transferred as a cost-saving measure to the Gettysburg Foundation. For more information on Main Street Gettysburg, please call 717-337-3491 or visit www.mainstreetgettysburg.org. The David Wills House circa 1889.